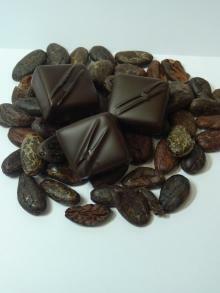 An 85% blend of African cacao in ganache. Rich, dark,...lovely. Rich buttery caramel, smooth Maker's Mark Bourbon and roasted pecans. Enrobed in dark chocolate. 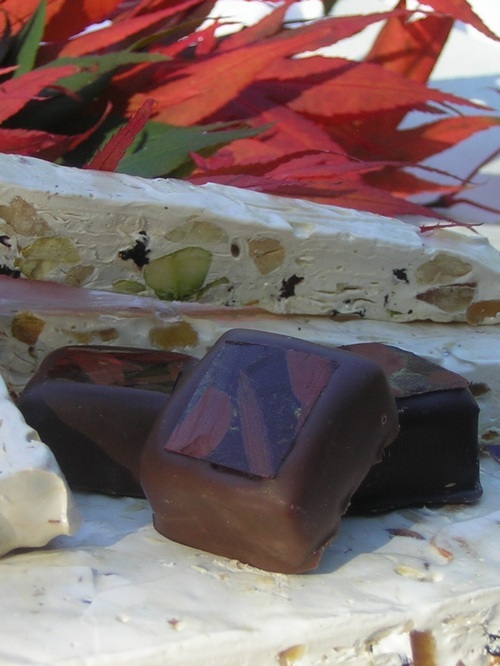 Chewy nougat studded with candied lemon and orange peels, pistachios, almonds and hazelnuts. Enrobed in a dark chocolate shell. 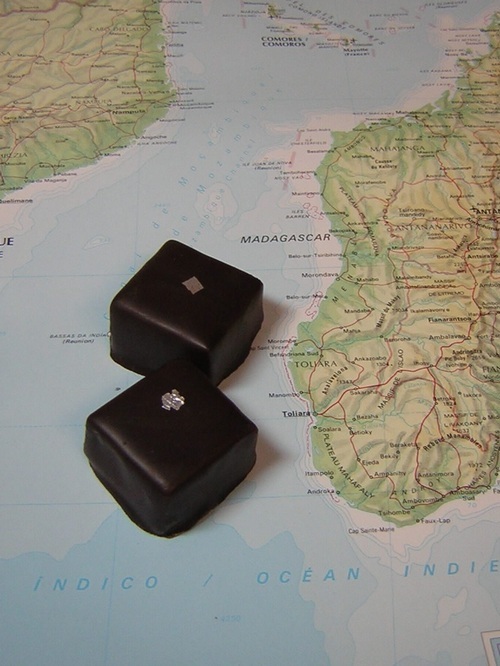 A ganache of 66% Dark chocolate from Madagascar, decorated with silver leaf. 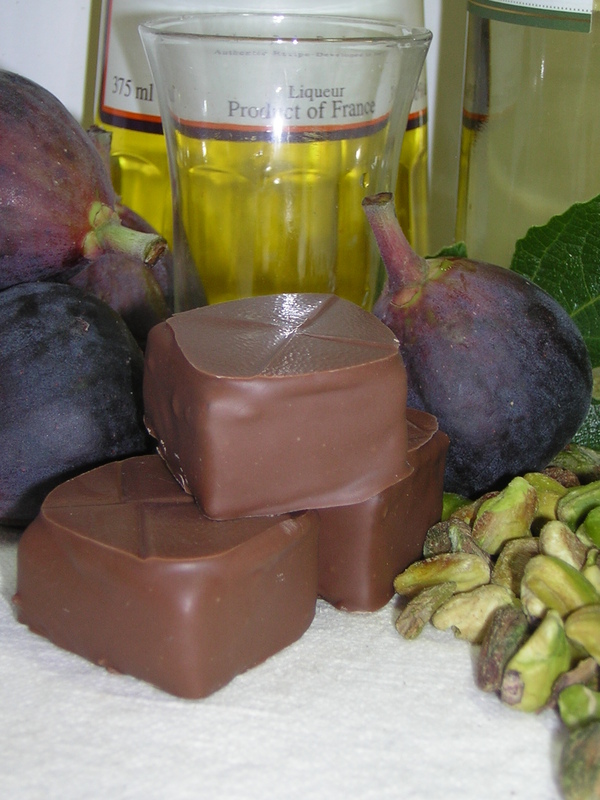 First we chop pistachios to make a vibrant marzipan then we poach organic figs in Sauvignon Blanc and Galliano. 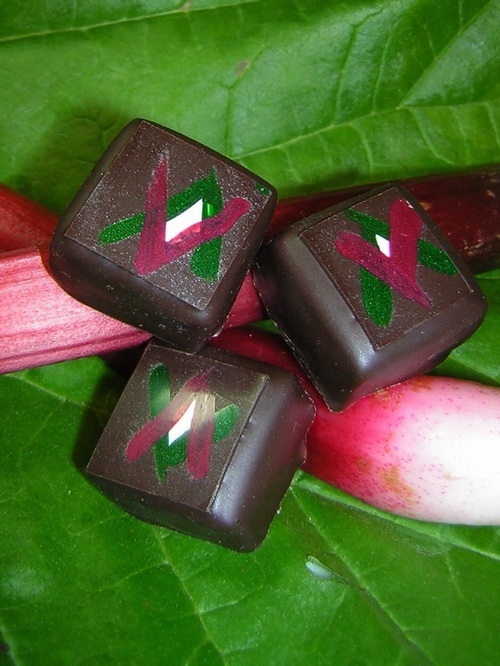 The drunken figs are blended into milk chocolate ganache and the marzipan is set gently on top. 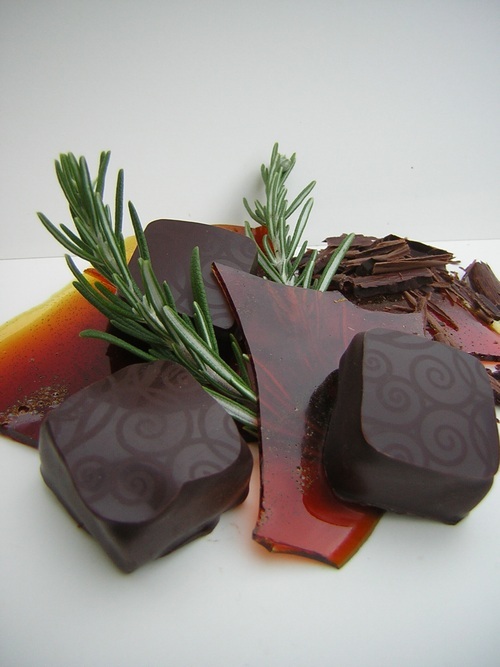 Fresh Rosemary from Red Wing Farm in Crow Valley infused in our classic creamy caramel. Laphroaig, single malt scotch from the Isle of Islay is blended into chewy caramel leaving lasting notes of smoke and salt. 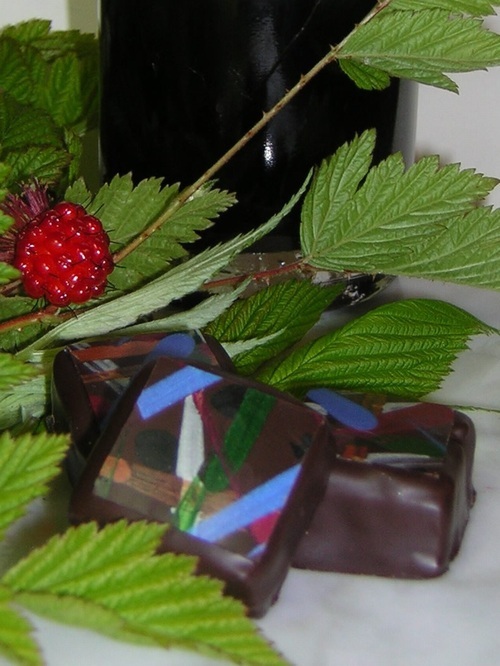 Dark chocolate ganache blended with loganberry liquor, layered with a black raspberry gelee. 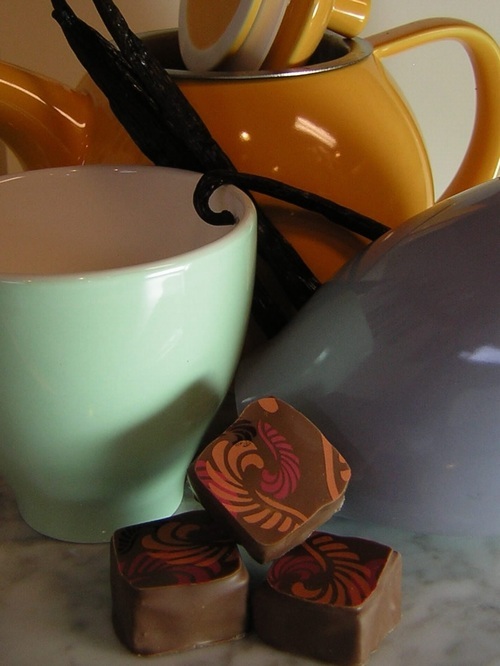 Topped with a hand painted chocolate tile. 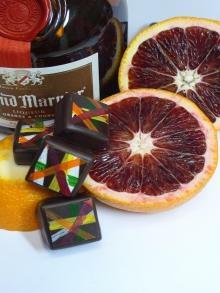 The sweet crimson flesh of the blood orange makes a beautiful and tangy pate de fruit. 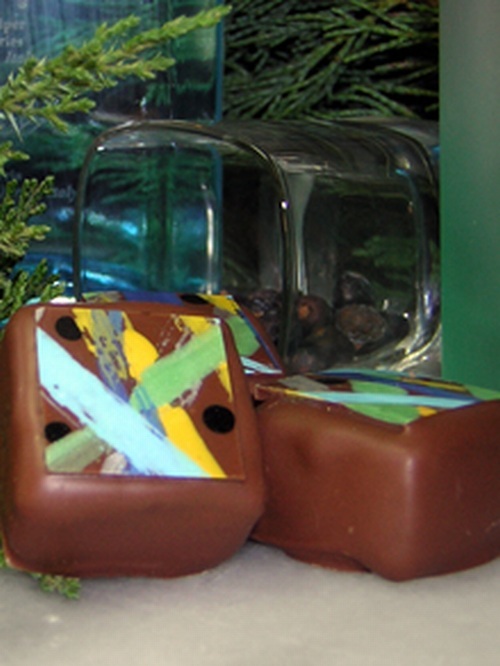 Layered on top of a dark chocolate Grand Mariner ganache, and topped with a hand painted tile. 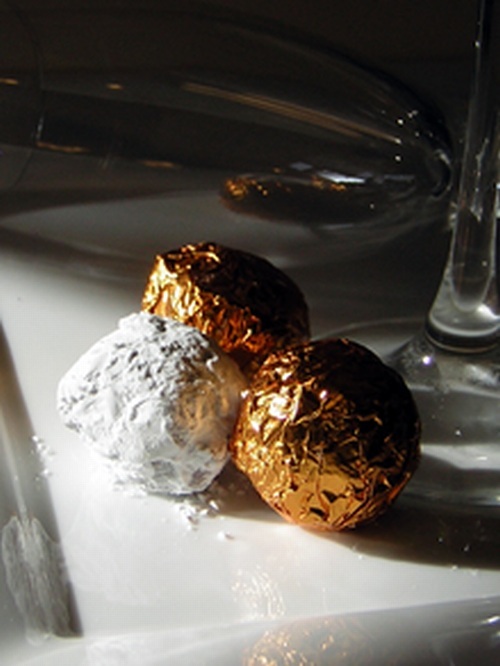 A champagne truffle. 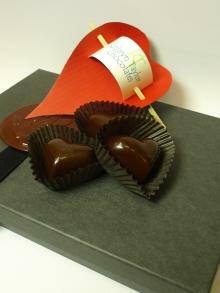 Milk chocolate ganache with champagne and eau de vie from champagne grapes. 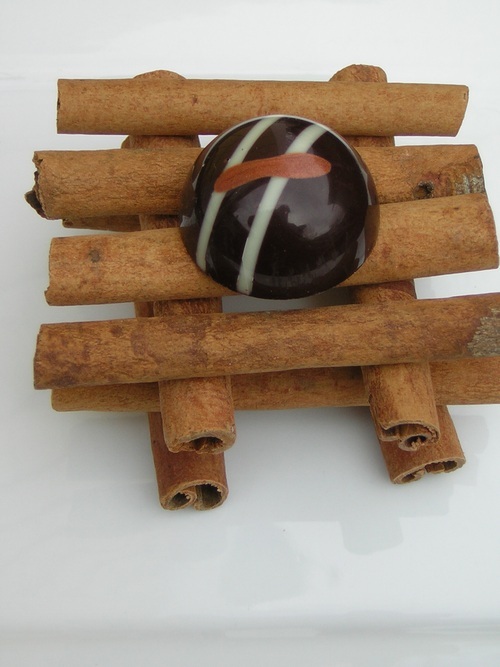 A cognac truffle. 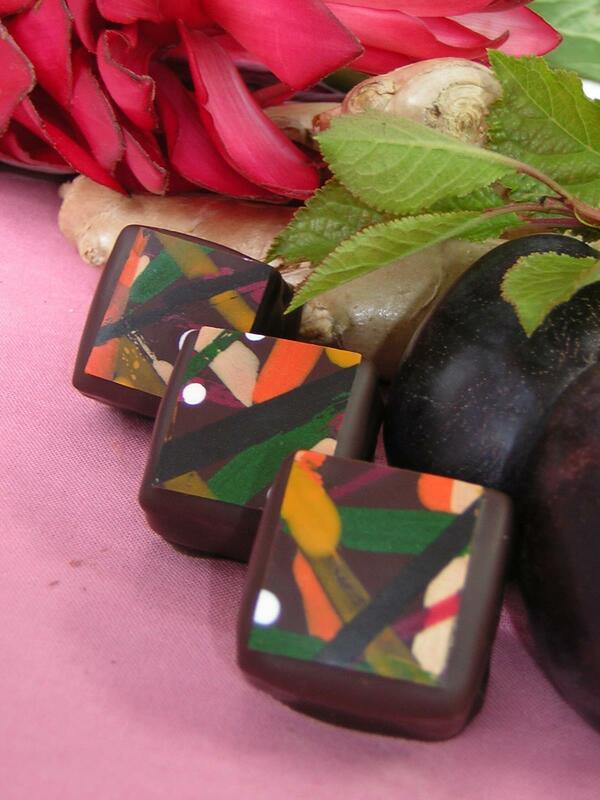 Dark chocolate and French cognac. Bring your smoking jacket, this one is smooth. 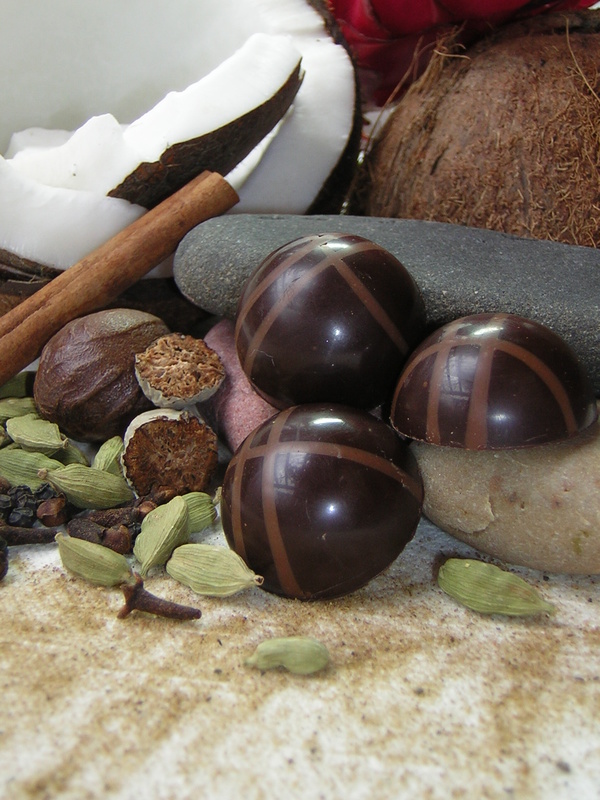 Eggnog and spiced rum in milk chocolate. Bring on the Good Cheer! 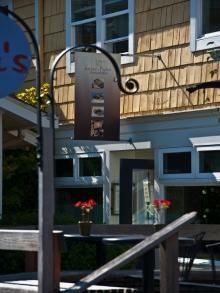 A pate de fruit of Italian Purne Plume from Emily's Orchard in West Sound tops a ginger infused dark chocolate ganache. 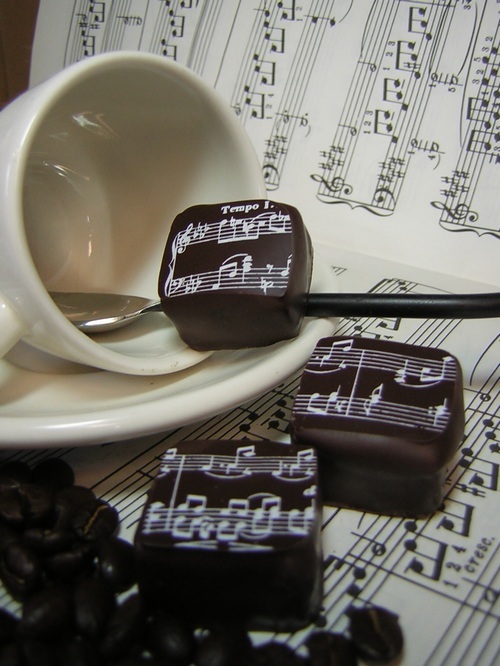 Topped with a hand painted chocolate tile. 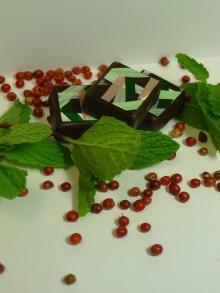 Whole Juniper berries and a smashing bit of Bombay Sapphire in milk chocolate ganache. Pate de fruit of rhubarb! Atop a ganache made with more fresh rhubarb from a little farm in Olga. Our favorite italian dessert wine in the smoothest dark chocolate ganache. Roasted walnuts folded into rich dark ganache.